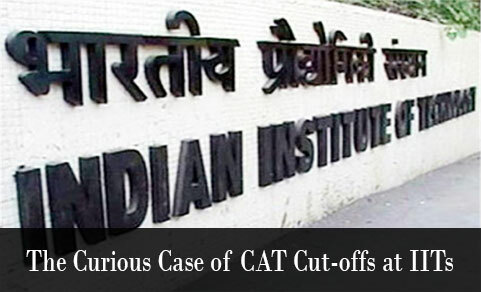 International accreditation for Indian B-Schools: Why aspirants should consider this? CONTEXT: When we buy food we check its expiry date and FSSAI registration number. When we buy medicines, we check its expiry date. When we look for standing of company, we check its ISO certification. The simple answer to question “Why are these approvals important?” is- “These approvals are a proof of quality”. Drawing our attention specifically to Indian B-School system, domestically, there are NBA/NAAC accreditations which are above mandatory AICTE approval because NBA/NAAC also evaluate quality of institute. Looking globally, there are 3 reputed accreditation agencies namely AMBA (Association of MBAs, UK based organization founded in 1967), AACSB (Association to Advance Collegiate Schools of Business, US based organization founded in 1916), EQUIS (EFMD Quality Improvement System, Europe based organization founded in 1997). These global agencies, working round the globe for these many years now, have created a robust evaluation mechanism using which they evaluate the standing of Indian B-Schools as per global standards. Off late, many Indian B-Schools have applied for these accreditations. 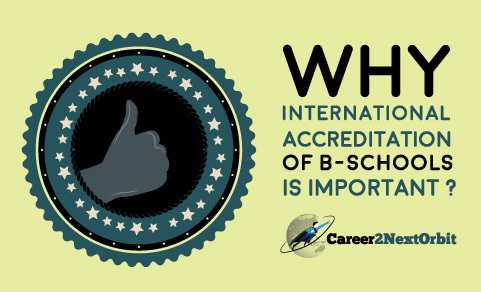 However, most pertinent question for an aspirant is- what does it mean and why should International accreditation be considered while selecting B-School? 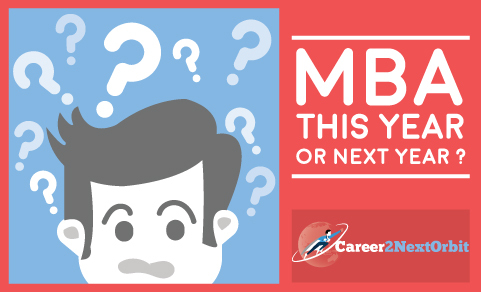 Whether you look at jobs from campus or a few years after passing out, students from internationally accredited institutes, steal a march over counterparts from non- accredited B-Schools. Most of the good International B-Schools now carry out exchange programs with only those Indian B-Schools which have International accreditation. The simple reason for the same is the consciousness of International B-Schools about the quality of students coming to campus. Thus, doing MBA from internationally accredited institute opens up more avenues of learning at these International Centers of excellence. Whether it is about second MBA or pursuing doctoral degree afterwards, having last degree from a top internationally accredited B-School is a testimony of quality, and boosts your credentials. All the international accreditation agencies, accredit any B-School only for certain number of years (3-5 years). Thereafter, it has to be re-accredited. What this ensures is, concerned B-Schools can never afford to be slack on their quality deliverable, thereby, ensuring better learning experience for students. With international agencies too focused on measuring the outcome of learning initiatives, the accredited are expected to evaluate all the learning outcomes as per the latest rubrics, thereby ensuring high transfer of knowledge to its students. To sum up, while the Faculty Quality, Placements and peer quality are indeed important factors, in the increasingly shortening Global landscape, International Accreditations are bound to play increasingly important role- and the sooner the aspirants consider it, the better it would be for them in long run.